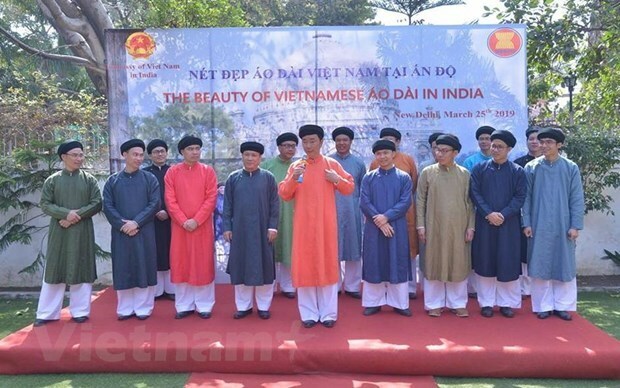 New Delhi (VNA) – The Vietnamese Embassy in India held a programme to promote Vietnamese traditional costume, the “ao dai”, on March 25. Ambassador Pham Sanh Chau highlighted the differences between the Vietnamese “ao dai” from those in other countries. Spouses of diplomats from ASEAN countries in India also showcased their traditional dresses and joined a quiz on Vietnam’s culture and “ao dai”.